There are only a few occasions where you can find yourself on the same waters as your wooden brethren. And there's nothing like a good rendezvous to celebrate the beauty of wood and white sails. The season's short, create a memory for you, your crew, and yacht. 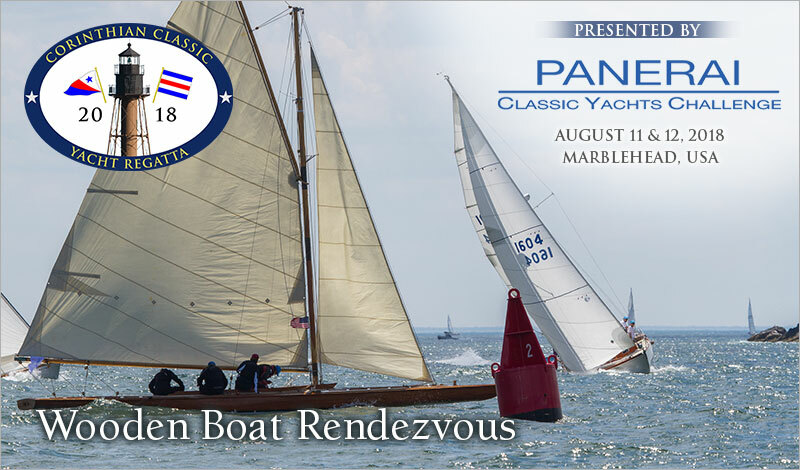 We encourage you to join us August 11 & 12 for the Corinthian Classic Yacht Regatta, presented by Officine Panerai, the title sponsor of the Panerai Classic Yacht Challenge Circuit. You belong at this event! "The Blue Peter" (Vintage - 63'), "Sonny" (S&S 53'), "Mashnee" (BB30 - 46'), and the famed "When and If" (Schooner - 63.5') are already registered. Now's the time for you to do the same. This regatta is a blast! Bands and bars! A GREAT venue at the Corinthian Yacht Club. * Yachts that meet the North American Panerai Classic Yacht Challenge Series requirements for eligibility, are offered the opportunity to race under spinnaker. Plan on making the most of your summer by registering to be a part of the Corinthian Classic August 11 & 12. Instructions to enter can be found on our website at www.corinthianclassic.org.